additional burial lots still available. 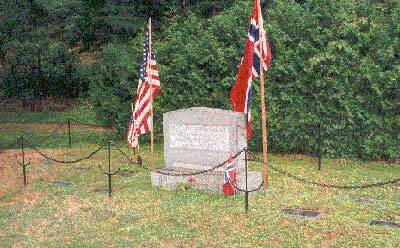 Pine Ridge Cemetery is the site of a grave marking the final resting place of a famous Norwegian explorer. was laid to rest in the family plot, a stone's throw from his birthplace. Cemetery, also known as the Old Protestant Cemetery, from the family. 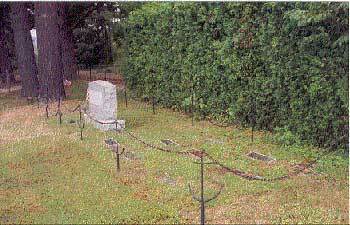 The Hebrew Memorial Cemetery was dedicated in 1919 with the oldest grave dated 1915. The inclusion of three faiths in one burial ground emphasizes the pluralistic nature of the village - rare for a remote, rural place at that time. In 1925, plans were adopted for a vault with a winter storage capacity for twenty bodies because of the deep frost presenting an obstacle for the opening of graves during the winter. Many founding families, doctors and their patients are buried in Pine Ridge Cemetery. 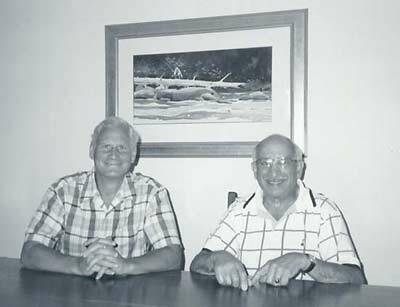 Among them are two notable doctors, both co-workers of Dr. Trudeau and both T.B. patients themselves. Dr. Edward R. Baldwin, pioneer in tuberculosis research in the U.S., was director of the Saranac Laboratory until 1926. One of his patients was Adelaide Crapsey, a poet who became famous after she succumbed to tuberculosis. The other doctor was Dr. Lawrason Brown, an internationally known tuberculosisspecialist and director of the Trudeau Sanatorium. They are both buried along with other T.B. doctors in a remote corner of the cemetery referred to as "The Doctor's Section." 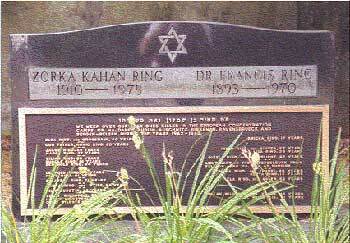 contains a monument memorializing twenty-five relatives of Dr. and Mrs. Bartholomew Ring of Lake Placid who were killed in Nazi concentration camps during the Holocaust. Amemorial stone the family had first erected in a Jewish cemetery in Czechoslovakia was plowed under by Communists. their grave. The Norwegian Government has provided funding for perpetual care of this section. Another Norwegian, explorer and anthropologist Carl Lumholz, died of T.B. in Saranac Lake in 1922. 1900s. 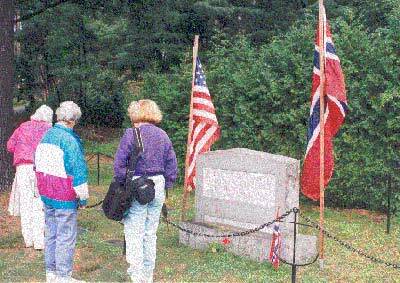 In 1993, members of a Norwegian Broadcasting Company film crew arrived in Saranac Lake to take several location shots, including some at the Pine Ridge Cemetery, where he is buried. The film was used for a television documentary to highlight Lumholz's life from his birth in Norway in 1851 and his travels throughout the world until his death in Saranac Lake. Today, the cemetery is operated and maintained by The Pine Ridge Cemetery Association, a nonprofit group with a board of trustees. Funds for maintenance of this historic and beautiful cemetery are derived from private donors, perpetual care investments and the sale of lots which are still available. 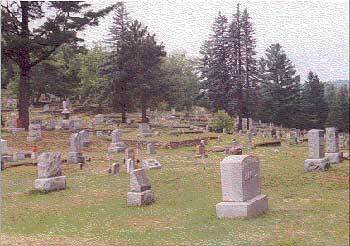 Adirondacks.com creates online partnership with historic Pine Ridge Cemetery to focus public attention on this unique landmark in the village of Saranac Lake.